Every season in life brings with it lots of challenges and opportunities to overcome. So true for a woman's looks as well. Let's get it straight. Nothing in the world can prevent aging and the wrinkles that come with it. Many of us may be adept at the art of anti-aging skincare techniques and products, but we are still less sure or unsure of how our makeup can help us look younger. As you get older, the more appreciative you will be of your makeup. While the right kind of eye and skin makeup can do wonders on an older face; wrongly applied makeup can be disastrous. And again, when it comes to makeup, do not settle for what worked perhaps a decade ago. Open yourself up to new approaches that would fit you better. Beginning with fine lines and wrinkles, most women drag attention to this area by overdoing it, so much so that wrinkles become more noticeable as the makeup settles down and cakes into lines. Prevention is better than cure and prevention begins with a moisturizer. Apply moisturizer to your face after you wash it in the morning while the skin is still damp. This will plump it up a bit. And, it is important to moisturize around the eyes as well. It is important to learn the bone structure of your face and lift it up. This can lend a more youthful appearance by using lighter and darker shades to make hard lines appear soft and soft lines hard. Darker and lighter shade foundation can be used to lift the sagging skin and the dark area can be covered with a translucent powder. As aging skin gets dull, warm colors could be used to brighten it up. A foundation that is half-shade lighter than your skin tone would be ideal. For dark circles under the eyes, a shade lighter foundation can be applied and topped with a concealer. Loose powder could be added to set the makeup and hide the color differences. Never compromise on quality and choose carefully while buying foundation. It should be able to subtly blend with uneven color pigments on your face to look alluring yet natural. And the shine on the face can be eliminated by using translucent powder. As you mellow with age, so should your color palette. While hot red could have been your choice in your teens and twenties, this is the time not to use bright vibrant colors. Instead use those that are soft and will stay in harmony with hair, eye color. Softer tones, neutrals and pastels that complement each other can be used. For instance, black mascara and eyeliners are appropriate for eyes. But if your hair is gray, it is better to go for a softer mascara color such as brown or gray. Lips thin with age although there are ways to make them look full again. Choosing the right color for your lips is vital. While strong colors like red are a big No, peach, beige colors and lip glosses can be used to make lips appear fuller and more defined. Liners again can help complete the illusion of fuller lips; just draw them on the outside and fill with color though not to make it very rigid. Instead of using a pencil first and then color; use color first and then pencil it up to give it a softer and yet defined line. Matte lipsticks and liners are recommended and these can be mixed with a good lip balm for a glossier and yet subtle look. Moisturizing sprays help to set makeup and lend the skin a dewy look. While moisturizer and sunscreen can be used as a base in the mornings, it can be washed off in the nights and heavier moisturizer applied. It is important to keep the skin hydrated plump and young looking all day. This can be done by using an anti-aging cream all over. You can add a tinted primer to even out the skin tone. This will also help smoothen fine lines and ensure that foundation does not fall into the cracks. Creams are great for mature skin as they cover redness and imperfections and refine the skin texture. This way, enlarged pores look reduced. An anti-aging vitamin E with SPF can protect the skin from further damage. Make sure that a concealer is handy to cover areas that need extra help like pigmentation, thread veins and dark under eyes circles. Concealers are designed to cover blemishes but they have drier consistency and can make your skin appear older, thereby making wrinkles more obvious. Choose a formulation that does not have sparkle or glitter as these can sit in lines and wrinkles. Cream or liquid formulations are definitely better than powder. Face powder can become an enemy and applying too much of it can make your skin look dry and cakey. Also, too much powder can make your skin instantly older. Use transparent loose face powder - which can last for years and only a tiniest amount need be used. Most often women add brown blush color in the belief that it can define and contour the cheeks and jaw line. But they end up looking dull and muddy with makeup just sitting on the skin. On the other hand, choosing too soft a color can make you appear washed off and aged. To get the right shade, the tip is to pinch the cheeks and match that natural color that comes when you actually blush. The correct way to apply a blush is to start at the height of the apple of cheeks and blend it up and back. Eyes can give away in more ways than one – how little you slept or how sad or happy you are or how much alcohol you have had the night before. The right eye make up for older faces is therefore vital. 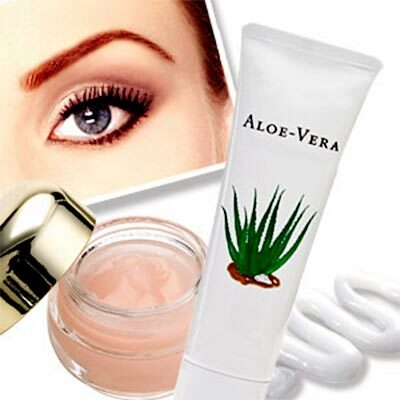 It can do wonders to your face - blending away dark circles and bags and giving shape and definition to your eyebrows. Eye makeup needs to work on the face you have presently and not the one she had ten years ago. Crow's feet, under-eye bags and drooping eyes can all appear with advancing age. However, some simple eye makeup tips can do the trick. As you age, your eyes can change shape. Hooded eyelids and wrinkled skin can make eye makeup a real challenge. The first thing is to step away from colored eye shadows, avoid dark heavy colors which can make hooded eyes appear look smaller. Before starting any eye makeup, prime eyelids with a wrinkle eraser. This can be applied to crow's feet and laugh lines. This product is similar to a pimple concealer which can eliminate and reduce the appearance of wrinkles while you apply makeup. Be sure to be away from dark shades which can make you appear older than you are. Dark grays, blacks and dark blues and green hues can be really harsh on your face especially on those with paler skins. Instead, light shades of pinks and browns can be used. Eye shadow is an attractive way of bringing attention to your eyes. Begin by applying the darkest shade and then a lighter one on the lids and the entire eye and up to the brows. As you get older, eye lashes tend to lose their volume and thickness over time. Mascara plumps them up and makes them look fuller. Apply two fine layer of translucent powder to the lashes in between the coats of mascara. There is a tendency for eyes to look smaller with age, and so make sure to curl the eyelashes with an eyelash curler and then use dark gray, black or brown mascara on the lashes. This simple eye makeup tip can make your eyes stand out and more importantly look younger, fresher and glowing. As you age, it is difficult to hold eye color in the skin. Go in for cream makeup instead of powder and it can be applied with a brush or finger tip. Two primary shades can be blended together to get the color of your choice. To give additional definition to your eyes, gel eyeliner can be used. Avoid dark brown and black liners as these can look hard; instead focus on softer shades with lighter tones. Mix gel eyeliner with a little water to give a very soft paste and use. Eyebrows matter a lot and they tend to get thinner as you get older. To fill in the gaps without looking like a painted clown, use brown very soft eye brow pencil against the growth of the brows for a natural look. You can use a pair of tweezers but not cut too much. Remember that creating full, good brow can take years off any woman. And using an eye shadow to fill in the blanks can make it softer and more natural looking. Natural looking eye makeup is the best option as one gets older, so the mascara chosen is important. Heavy thickening and super lengthening mascara have huge amounts of filaments and they are quite scary. Mascara finishes off eye makeup and it helps to give definition to the eye. Subtlety is the keyword! In case you are using new eye makeup, take time and mess around with it before using it for any big occasion. It will take some time to learn to apply new makeup products but with a bit of practice you can achieve natural looking eye makeup that can take years off your natural age. For dark circles or some sun spots, dot a bit of concealer on the inner corners of eyes or on the spots – not all over the place. Overly made up skin can make it appear a lot older than you are. Tinted moisturizers with luminescent particles, lightweight liquid foundations are best for lined skin. Use light reflective liquid formula instead of pressed powder which can	make the skin look older as it settles on the wrinkles. Avoid face powder or powder-based facial makeup products; it tends to make your skin look lifeless. Use a damp sponge or a foundation brush to apply foundation flawlessly. An eyelash curler, shimmering shadow, mascara and brow powder can turn back the clock at least temporarily. 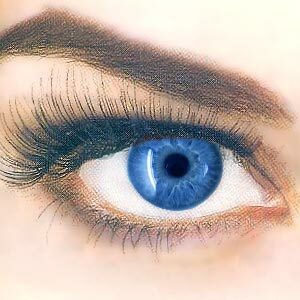 Look for blackest mascara as this will make the whites of eye look cleaner and whiter. Do not use foundation that does not match your color. Do not make the mistake of using too dark a color for lipstick. Add color and define thinning brows. Use a primer before make-up for skin tone to look smoother and better. First Published Date: 24 Apr 2017 Last modified Date: April 23 2019 This page may have been updated recently as new information is available or the content may have been edited for better readability.